As spring finally, slowly, eased into town, I was thrilled to get back to my garden, ready to try my novice hand at another year of vegetables. But there was a problem that I’d been pondering all winter. For the last few years, a garden that had produced so well had been failing miserably. After some light tilling, the seeds always sprouted – popping up hopefully as the days warmed. But by mid-summer, it was as if they all gave up. Nothing grew. I tested the soil. I composted. I watered more. I watered less. But for three years, the same result. By August, most everything died off. This spring, I decided to dig a bit deeper. Literally. 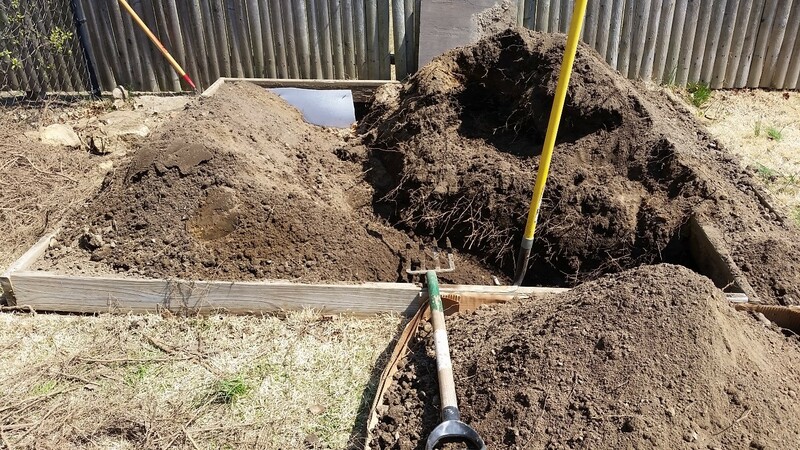 With the help of an able-bodied son, we dug a trench on one side of the garden all the way down to the clay beneath the topsoil. We found the culprit. Roots. Deep roots. Loads of roots from a tree nearby – a tree that I had planted years ago that had found a way to tap into all the water and nutrients of my garden. Years ago I installed a fence above ground to keep out the marauding deer. I now have an underground fence to see if I can keep the searching roots of an oak tree at bay. All things considered, I’m not a big fan of fences. Jesus constantly seems to be about the business of breaking down the fences that we erect. He calls us to openness and risk, rather than walling ourselves in out of a fear-induced need for protection. We need to be very careful about our fences. But in this case it may be needed. For everything there perhaps is a season. That which creeps in and steals away our joy, our hope, our life – perhaps it too needs to be kept at bay. And for all Jesus’ openness, this spring we read of him talking about doing a bit of pruning – trimming back unhealthy unneeded growth so that the fruit God desires will come in abundance. So perhaps it’s worth asking. In the gardens of our lives, and in the garden of our churches, what creeps in unseen that crowds out the life of the Spirit from us? What needs to be pruned? What needs to be cut back so that other fruit might flourish? Dan Love is Co-Pastor at the Rye Presbyterian Church. This entry was posted in Uncategorized and tagged Dan Love, faith, fences, garden, growth, Hudson River Presbytery, Jesus. Bookmark the permalink.